This article gives complete information about Table tennis game. Scoring rules and Equipments for playing Table Tennis are also included in this article. Different types of shots in Table tennis are also quoted in this article. Read this article full more details. Table tennis is also called as Ping Pong or colloquially. Table tennis can be played as team as well as singles. In team there will be two persons. 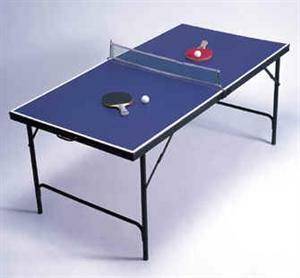 From the name, it is clear that a table is used for playing table tennis which also includes a small net of 15.25 cm height. Small wooden rackets and light weight balls are used for playing Table tennis. A player will win the the table tennis match by reaching 11 points with two points more than the opponent. If there is a tie with 10 points, the player who reach two points ahead of other will win the match. In the earlier period 21 point is set as match point and currently it is reduced to 11 points which makes the game more interesting to watch. organizer and controller of Table tennis game is International Table Tennis Federation (ITTF) which consists of 215 members in the current organization. According to the study, the game started in Britain in 1880. Point is scored by a player when the opponent failed to hit the table tennis ball over the net. More details about scoring,equipments and shot types of Table tennis is given below. 1) Player will awarded point, When the opponent failed to pass the ball over the net. 2) Service should be correct with out any fouls. 3) Player is not allowed to touch the playing surface with out the racket. It will be foul when a player touches the playing area with empty hand. 4) If the service of the opponent is foul or failed to serve over the net, he will loose the point. 5) The player scores when the opponent block or disturbs the ball. 6 Two points will be awarded to the player when the opponent has been warned by the umpire for three times. A small light weight ball is used for playing Table tennis. The weight of the ball will be 2.7 gram and 40 mm diameter. Ball color is set according to the match of table color. Smooth coating is used in the playing surface of the table. Playing area is divided into two parts with 6 inch high net in the middle. The table will be 2.74m in length and a width of 1.525 m. Height of the table will be 76 cm. Racket is made of wood with smooth rubber coating on both sides. The word racket is set by ITTF which is used generally but in Britain Word 'bat' is used instead and 'paddle' in United States. Counter drive: Counter attacks with faster shots are used here. Flip shot: Flip shot is a combination of loop and drive shots. More wrist skill is required for these type of shots. Smash shot: Smash shots means attacking a ball which is having higher bounce. Push shot: A push shot can be a slice or cut. High skill and experience is needed for this type of shots. Chop shot: Chop shots includes more spinning capability and chop shots are difficult to return. Block shot: Block shots are normal shots against the return with out any risk or power.